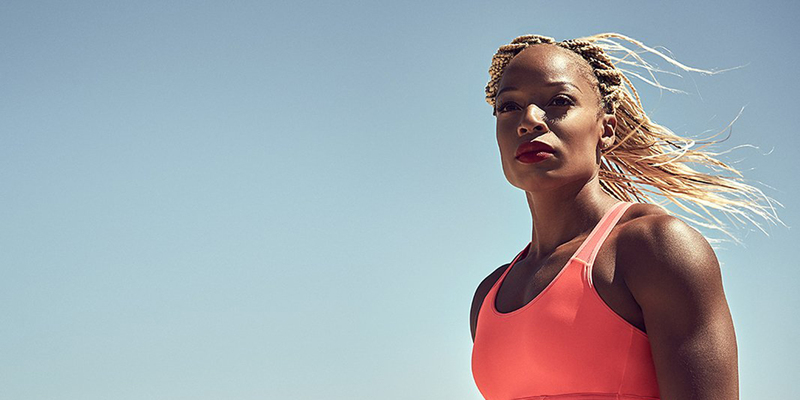 Natasha’s team reached out for a small, yet very important project for her personal brand. 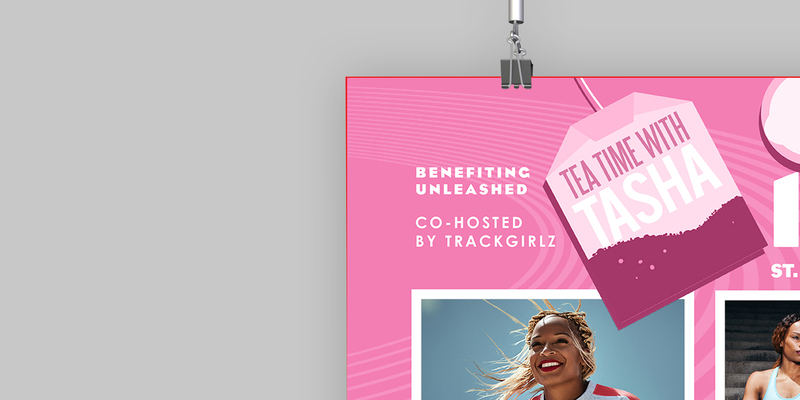 She needed an agency to help develop some key branding materials for her “Tea Time with Tasha” event in NYC. 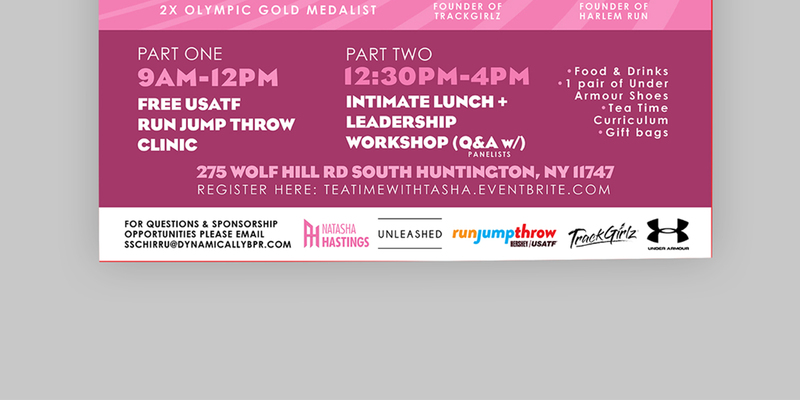 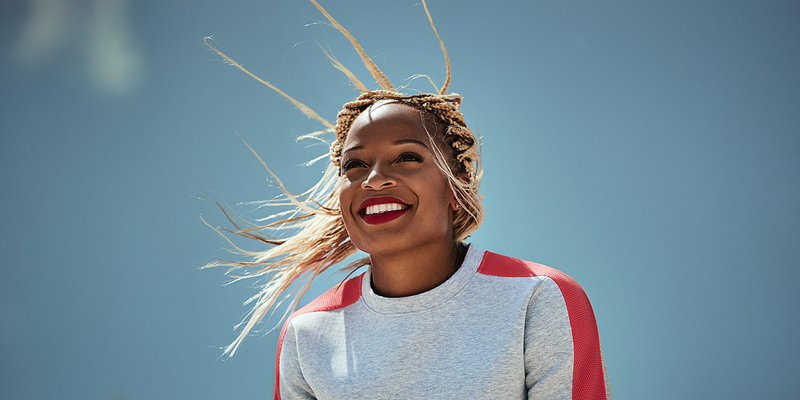 The event, sponsored by Under Amour, Run Jump Throw, and more, included a intimate lunch and leadership workshop, featuring other keynote speakers. 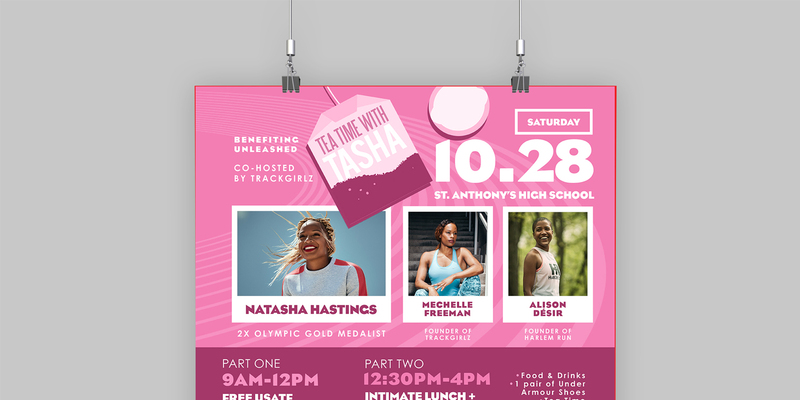 We were able to design the official promotional material for the event along with some other pieces to help lay a foundation for the brand.